Hope you have all been enjoying the glorious sunshine this past week in London, New-york, Paris and everywhere else in the world where the rays from that big ball of fire and light has touched. This post is short and sweet and it is also not hugely scientific so a slight cheat, although like I said everything started with science including art! and this is my blog, so I am allowed to cheat once in a while especially when it is to big up one of my own. 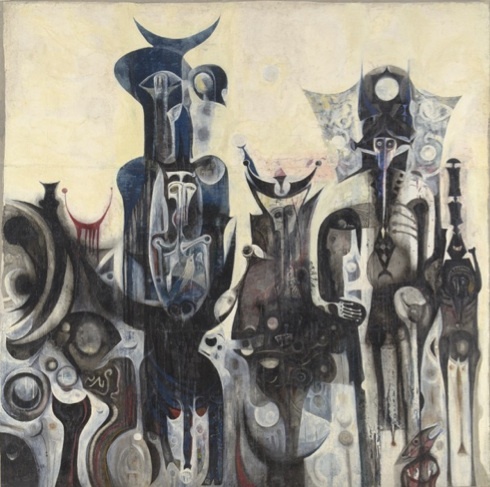 I feel proud to tell you that the first Tate Modern exhibition dedicated to African Modernism traces the life and work of Ibrahim El-Salahi, a Sudanese artist. Sudan stand up. I am super excited to have the opportunity to support this great man from my home country. “This major retrospective brings together 100 works from across more than five decades of his international career. 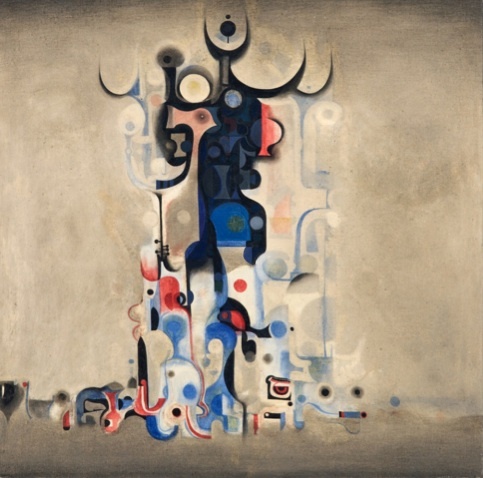 The exhibition highlights one of the most significant figures in African and Arab Modernism and reveals his place in the context of a broader, global art history” Quote taken form the Tate site. We learn about Mr El-Salahi’s journey from Sudan in the 1950’s, his education in London and how he returned to Sudan in 1957 as a pioneer in the Art scene. His story is amazing, he shares his life, his joys, his deep spiritual faith and his dreams with you in his work and I urge you all to go and see it. It is showing from 3 July – 22 September 2013, do not miss it geeks. Click on the video below and meet the man himself. Also, while you are at the Tate you should also go see Meschac Gaba: Museum of Contemporary African Art also showing from 3 July – 22 September 2013. Since the theme is Sudan here I’m going to introduce you to these beautiful young ladies who have re-created some of our cultural songs which I used to hear my grandmother and great aunts sing around a coal burning coffee pot. I absolutely love this rendition of this song and I hope you do too. Thank you for reading, please share the information and have a great weekend everyone. This entry was posted in Geek Out, Science In Art and tagged #science #geek #art #tate #africa #sudan #love #life #health, africa, art, geek, health, life, love, music, science, sudan, tate by Faith In Geeks. Bookmark the permalink. Reblogged this on Sudan Hub Ltd: Est 2011.